With all of its natural wonders, I can’t think about all the years it took me to finally make my first visit to Arizona — and my stay at The View Hotel. This is not your average hotel stay or everyday location for that matter. Everything about The View Hotel is unique and special. 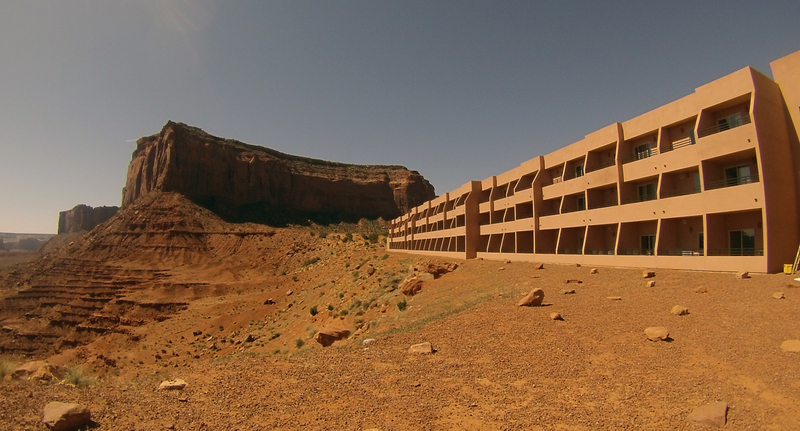 Nestled in Navajo nation, The View hotel has picture perfect views of Monument Valley, one of the most photographed sand rock formations in the country. While walking around the property, take a moment and admire some of the Navajo themed décor and paintings throughout the hotel. In your room, the balconies are just right to see the sunrise or have a stargazing photo session. From afar, the building colors practically blend in with the terrain and the sand rock mountains. For guests to capture the perfect pictures, you’ll find extra spacious seating areas around the property. Just before getting back on the road, I finally made it the hotel shop where I couldn’t resist to buy a few Native American-made souvenirs. Insider Tip: Don’t forget to tour the monuments. You can do a self-guided tour or hire a guide with either option, I am sure you’ll have fun.